The PlayStation 4 may be on the way but that doesn’t mean the PlayStation 3 is over and done. There are still a handful of exclusives for that wayward console sitting on the horizon, and not just big name Sony releases like The Last of Us and Beyond: Two Souls. 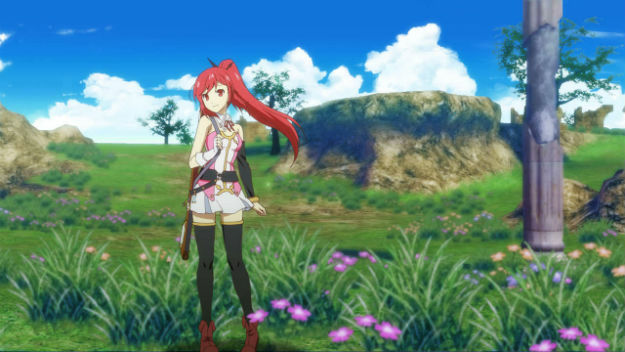 NIS America announced on Thursday night that it’s bringing two PlayStation 3 exclusive role-playing games to the United States, including Imageepoch and Namco Bandai’s Toki to Eien: Toki Towa. That awkwardly titled game has been renamed Time and Eternity for its summer 2013 release in the United States. Time and Eternity gained some early buzz on the web when it was first announced in early 2012 because of its hand-drawn animated characters. Rather than pretty cel-shaded characters like in Namco and Level-5’s Ni no Kuni: Wrath of the White Witch, Time and Eternity puts you in control of actual cartoon characters over polygonal backgrounds. The plot is as novel as its visual style, as the story of the game has you time traveling to save your marriage. The other PS3 RPG is The Guided Fate Paradox, a dungeon crawler developed by the studio that makes NIS long-running Disgaea series. While screenshots of Paradox make it look like most other anime-styled role-playing games, its pedigree makes it worth paying attention to. It’s a sequel to the PSP game Z.H.P, Unlosing Ranger vs. Darkdeath Evilman, an ingenious satire that was overlooked on its release because it looked so much like the games it satirizes.